Another remarkable and little-told story of Central Asia concerns Sidney Jackson, who was born into a poor Jewish family in the Bronx, New York, in 1886. He started boxing when he was 12 and turned professional at 18. After winning several featherweight titles in the USA, he joined a US demonstration boxing tour to Europe in 1914. Because of a thumb injury sustained during a fight, Jackson was unable to continue the tour. 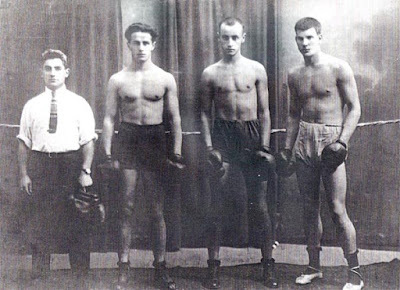 So, with a boxing pal, he decided to travel, setting off to Russia in mid-July 1914, totally unaware of the tragic events that would soon unfurl in Europe. After war broke out, he was advised by the US Consulate in St Petersburgh that the only way out was to travel to Tashkent, then try to reach the Arabian Sea via Afghanistan and Persia. Jackson arrived, penniless, in Tashkent in August. Unable to buy a fare out of Tashkent, and given that boxing was an unknown sport in Central Asia, he worked for several years as a tailor at the Yaushev Garment Making Firm, and made friends in Tashkent's diverse expatriate community. (Jackson had done a tailoring apprenticeship in the USA). After the October 1917 Russian revolution and the subsequent civil war, Jackson volunteered as a private in the International Brigade fighting in a motley band of Germans, Koreans, Hungarians. Chinese, Persians, Czechs, Serbs, Tatars and the rest against local anti-communist rebels, known as basmachi and the British expeditionary force in Central Asia under Major-General Sir V. Malleson. Sidney Jackson participated in battles throughout Central Asia and the Caucasus and was decorated several times. According to Jim Riordan's article in The Journal of Sport History, "in the winter of 1921, as the civil war died down, Jackson returned to Tashkent to work as sports instructor for the Universal Military Training organization that had been given charge of all sports amenities in the country. Jackson was assigned to the Fortune Sports Club where he began to introduce boxing to the people of Central Asia. He soon made a boxing ring out of old ship rope and set it up in the city’s central park, patched up the only three pairs of gloves (filled with seaweed) he could locate, and made new ones out of leather and horse hair he obtained from the local slaughter house. With that material and thick felt he also made punch bags and balls. 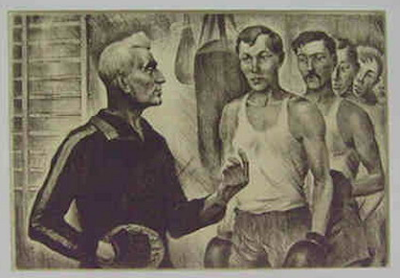 But he did not confine his activities to promoting boxing - though his club was indeed the very first boxing club in the whole of the new Soviet state; his experience in other sports enabled him to found clubs and organize facilities for lawn tennis, swimming, track and field, basket-ball, soccer, tug-o’-war and unarmed combat, all of which he coached himself." As a Soviet sports authority later confirmed, "Until that time, not one of these sports was well known in those parts; Jackson was truly the founder of [organized] sport in Central Asia." Again, quoting from Riordan, "His Uzbek team won the USSR Boxing Championships several times and produced a number of Olympic, European. and Soviet medal winners. Not just local Europeans like Nikolai Anfimov and Vladimir Shin, but Central Asians like Abdulla Kadyrakhunov. 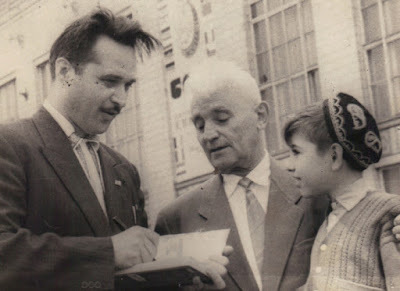 lsold Mullayev. and Zakir Abdulkadyrov, all of whom won medals at the European championships. 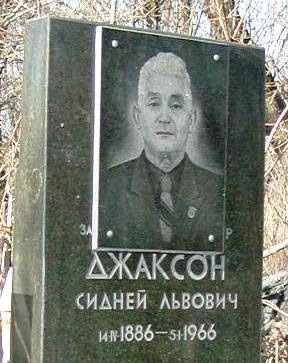 His most famous pupil was the Soviet Union’s best-ever boxer. the middleweight Valeri Popenchenko, Olympic champion and winner of the Barker Cup for the most technically skilled boxer at the Mexico (1968) Olympics. Jackson also coached the most successful Uzbek boxer, Rufat Riskiyev. who became USSR champion, world amateur title-holder (Havana,1976) and silver medalist at the Montreal Olympics in 1976". As well as devoting himself to building sportsmen and women of Uzbekistan, after the birth of his two children, Jackson went to university. He graduated with a degree in English and became a professor at the prestigious Tashkent Institute of Foreign Languages in the early 1950s. Many anecdotes about Sidney Jackson still echo in Tashkent's boxing halls. People say that Jackson always preferred the climate of Tashkent and its distance from Moscow. However, in 1928 the Soviet leadership brought him to Moscow to meet and interpret for the visiting American film stars Mary Pickford and Douglas Fairbanks. A devotee of boxing, Fairbanks was invited to join the judges panel for bouts held in Sokolniki Park on 21 July. Jackson was delighted at the opportunity. Sidney Jackson passed away in Tashkent in 1966. In a demonstration of the respect in which he was held, thousands of citizens lined the streets of the city to bid farewell to this wiry, white-haired man who arrived by chance to a remote outpost of the Russian empire and stayed. He never returned to the USA. His daughter, Paina, still lives in Tashkent. Once again Jim Riordan's sums it up: "The American whom fate cast upon Russia’s shores in the time of Tsar Nicholas II lived through two world wars, two revolutions, civil war, famine, mass terror, the rule of Lenin, Stalin, Khrushchev, and Brezhnev - and survived it all. 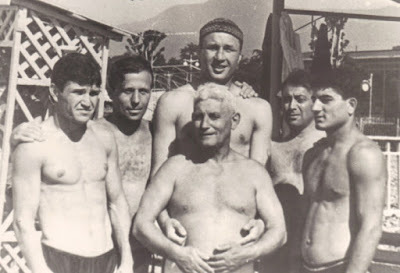 More than that: the barely literate Jewish bruiser from the slums of the Bronx raised himself to become college professor of English, Merited Coach of the USSR, and hero who stands forever in Russia’s boxing hall of fame". Since 1967 the Sidney Jackson Memorial Boxing Tournament is held in Uzbekistan to commemorate Jackson's remarkable contribution to Uzbek sport.